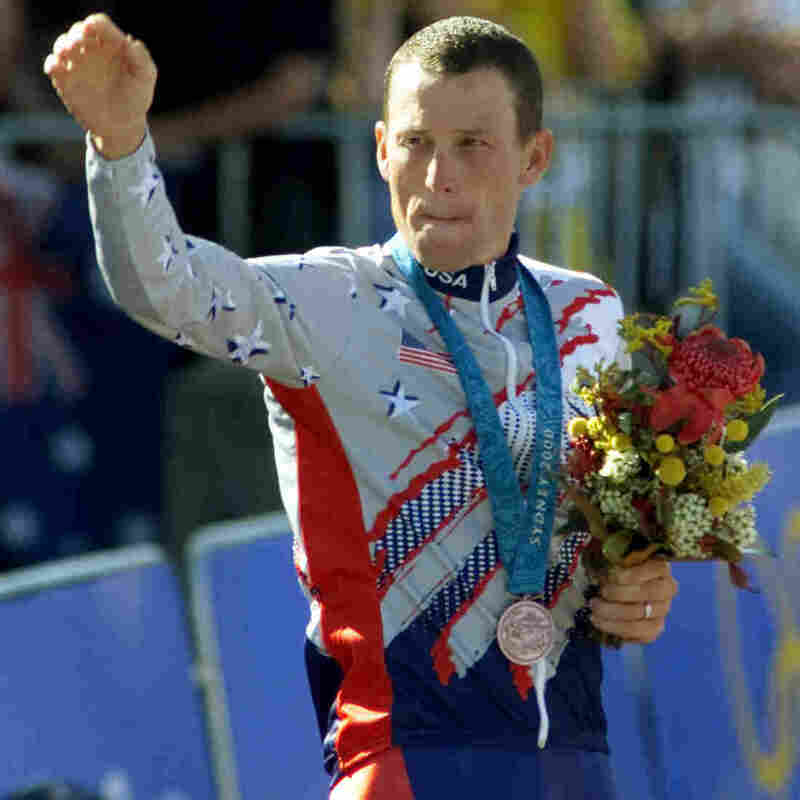 Olympics Asks Lance Armstrong To Return His Bronze Medal : The Two-Way The conclusion from anti-doping authorities that Armstrong used performance-enhancing drugs have led the International Olympics Committee to strip him of the medal he won at the 2000 Games in Sydney. Meanwhile, tonight, Oprah Winfrey airs Part 1 of Armstrong's reported confessional. Lance Armstrong at the 2000 Sydney Olympic Games, celebrating his bronze medal performance. As those who care wait anxiously for Part 1 of cycling superstar Lance Armstrong's confessional with Oprah Winfrey, there's word that the International Olympic Committee has asked Armstrong to return the bronze medal he won at the 2000 Olympics. "Following the recent decisions of USADA and the UCI regarding the competitive cycling results of Lance Armstrong, the IOC has disqualified Armstrong from the events in which he competed at the Sydney 2000 Olympic Games, namely, the men's individual road race, where he finished 13th, and the men's individual time trial, where he finished 3rd and was awarded with a bronze medal and a certificate. "The IOC has asked that the medal and certificate be returned by Armstrong to the United States Olympic Committee, which should forward them to the IOC. The decision was taken in principle at the IOC Executive Board meeting in December, but its implementation required the expiration of the appeal deadline." So add that to the seven Tour de France titles that Armstrong has been stripped of because of the charges from anti-doping authorities that he used performance-enhancing drugs throughout his career.